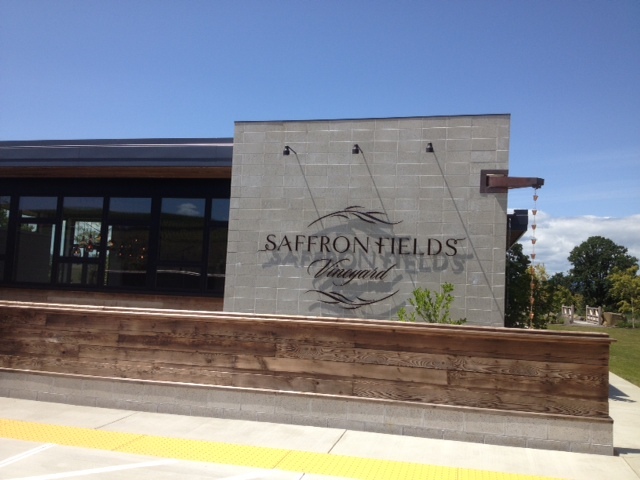 Saffron Fields’ very cool tasting room. CARLTON, Or. – Scouting as a wine writer can be a lot of fun. There is just something about these winding roads, hills, and hillside vineyards that makes visiting wine country really special. And I’ve written before that it’s the people in the wineries and in the communities which make visiting a spot like the Willamette Valley really worthwhile. After leaving Indiana very early and six hours of flight, I drove out into the Valley. I set about visiting two wineries on my list and a couple more in Carlton where I spent Sunday night. Many of these wines will be hard to find. I guess the point of the post is to note the fun of exploring wine country and the delightful surprises around every crooked corner of the road. Lenne’ Vineyard, up a gravel road with spectacular views, was my first stop. The brand new tasting room was rather barren but the young lady pouring the wine was a real pro. Owner Steve Lutz wasn’t available but his lineup of one Rose and four Pinot Noir wines were worthy of the surrounding and stunning vineyard views. The Rose’ was lighter in style with big acidity but a nice bottle for the $18 price point. I found three of the four Pinots to be really outstanding wines. His Le Nez had an understated beauty, soft on the palate with a soft finish that most any wine lover would enjoy. There aren’t many $30 bottles in the valley any better. His two estate Pinots at $45 and $55 were fabulous wines. They were light in style but with more nuance and secondary flavors. They were simply great Pinot Noirs. The top bottle had been open a day and just didn’t hold up well. Lenne’ is a small production winery but it’s making great wine. It’s a place to visit when you come to Oregon. The highlight of the day was a winery just down that gravel road from Lenne’ – Saffron Fields. Each of the four wines poured in the open-air, ultra-modern tasting room was great. Winemaker Tony Rynders does a beautiful Chardonnay with 50 percent oak and stainless steel. It’s rich and very aromatic with hints of peach and kiwi. A really beautiful wine for $40. Rynders has a personal label called Tendril which really presented dark cherry flavors, spices, and nice dark raspberry goodness. The Tendril and the 2011 Saffron Fields Vineyard Pinot were the two big winners. Both are small production wines and both sell for $48. I thought they both were as good as you’ll find in Oregon. I had long heard of Kramer Vineyards and found its small Carlton tasting room on a side street. The best taste was the sparkling Rose’ of Pinot Noir. For a mere $24, the sparkler surpassed many I’ve tasted at a much higher price point. The Chardonnay and Pinot Noir were solid but not spectacular. I met winemaker Kimberly Kramer who discussed her use of oak in wines and how she uses oak of varying ages to add complexity. Finally, I made a stop in the De Ponte tasting room. I had visited the winery a few years ago. I loved almost everything on the tasting list. 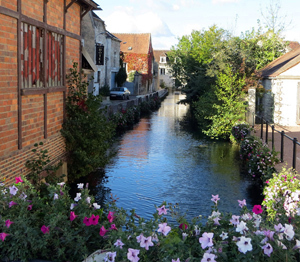 The fun started with a 2012 Melon de Bourgogne which is known as a lovely white wine grape from France’s Muscadet region – but no, it’s not that grape. I has tropical fruit and a bit of pineapple. The wine was rich and refreshing, really something different for $25. I liked all three 2011 Pinots poured by assistant winemaker Suzanne Oliver in the tasting room. 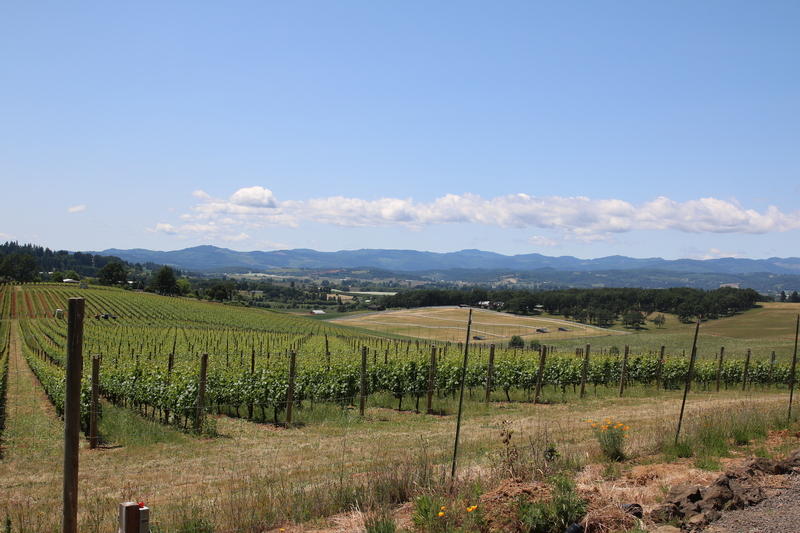 Each had the characteristic Oregon earthiness that makes these wines special. All three wines were priced at $44. Monday is a little bit of scouting and a trip in to McMinnville before heading to Portland to welcome my eight wine tourists to the Willamette Valley.